There is nothing more soothing (and relaxing!) than bathing with warm water. But sometimes, getting the right temperature can be tough. 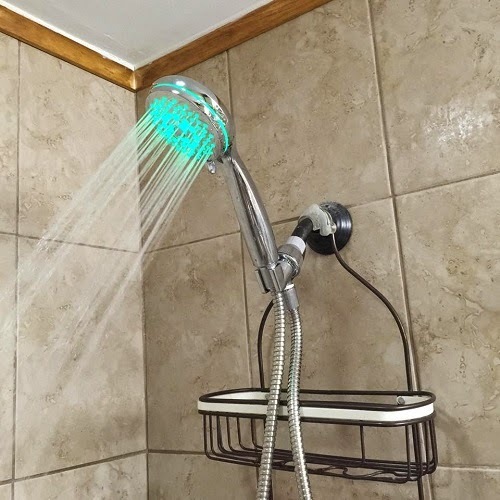 Today's review is about the HotelSpa® Ultra-Luxury 7-setting LED Hand Shower with Temperature Sensor, and hopefully, it will finally solve the water too hot or cold issues in my home. 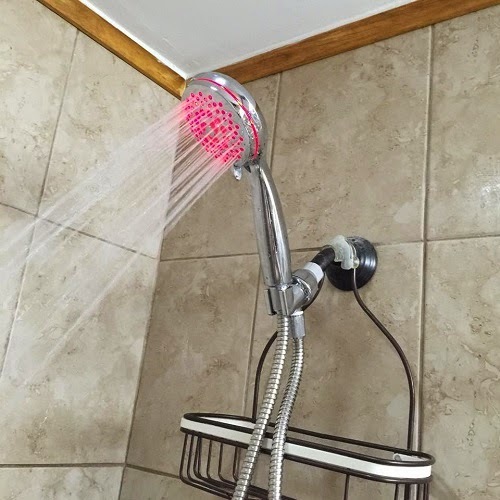 The shower head looks really nice. It's easy to install and it's sturdy. We got really excited by the changing lights. It's blue when the water is cold, green when it's nice and warm, red when it's hot and blinking red when it's dangerously hot. Now, that's the easiest and safest way to get the perfect temperature. It also has a very nice and modern design and it made our bathroom look really cool. I have read some of the reviews before this and some have complained about leaks. I've never had any leak problems with my unit. It was my husband who did the installing and it only took him a few minutes to set it up. 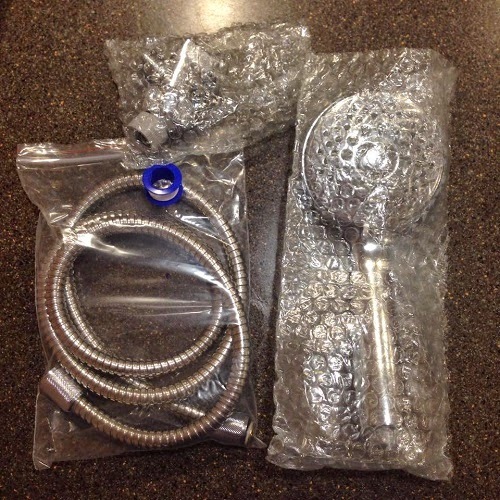 Overall, we love the handheld shower and the kids are having fun with it. 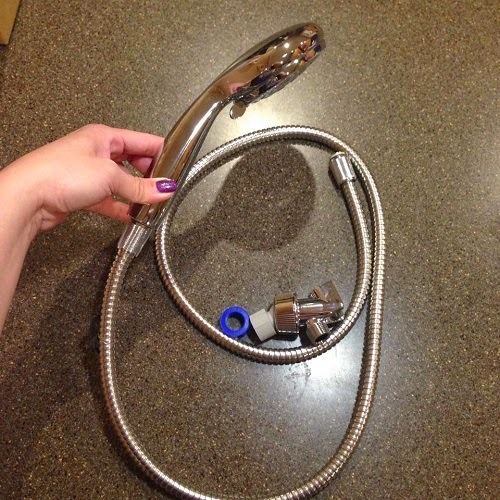 If you're having water temperature issues at home, this product will definitely put an end to it. I highly recommend this. You can purchase the HotelSpa® Ultra-Luxury 7-setting LED Hand Shower with Temperature Sensor through the Interlink Products International Inc website and on Amazon. It's fairly priced at $49.99. I am also giving away 1 unit of HotelSpa® Ultra-Luxury 7-setting LED Hand Shower with Temperature Sensor to 1 lucky winner. 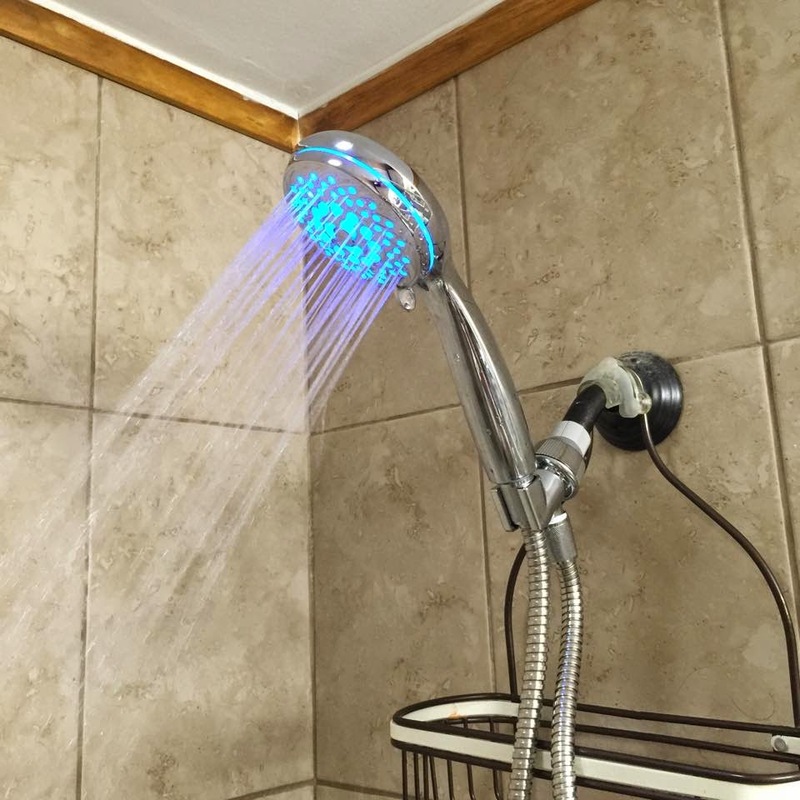 This is totally awesome and I would love to have a shower head like this one. I love the LED Light and the temp control on it. Thanks so much for sharing. Heidi, I will consider your entries. Thanks for joining!